The Japanese yen gained on its most-traded rivals today, propelled higher by risk aversion. The general negative market sentiment allowed the currency to ignore dovish comments from the central bank’s chief. Raising interest rates now to create policy space for future economic downturns may risk delaying achievement of our inflation target. Yet the news about the arrest of Huawei CFO Meng Wanzhou sent markets into a risk-off mode, allowing the yen to ignore Kuroda’s comments. 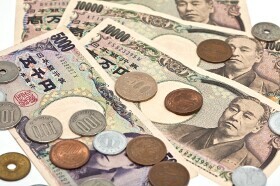 USD/JPY dropped from 113.19 to 112.68 as of 14:04 GMT today. EUR/JPY declined from 128.40 to 128.01, touching the low of 127.67 intraday.